Until most recently, it was easy: Use a USB cable, concect it to my Ubuntu 16.04 Laptop, get the mentioned choice/approval box... and voilà the Tablet appeared as an MTP device in the Ubuntu ‚file explorer‘ (caja) nicely auto-mounted. 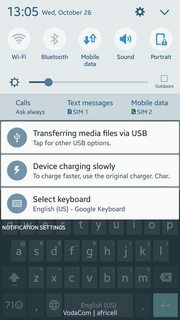 Device is not rooted. No other glitches. Are there maybe some log files (now that Dev mode is enabled) to check out what might got wrong? Not looked/understood ADB yet. So I couldn't tell you, if that works. Anyway, no dialog to choose upon connecting. 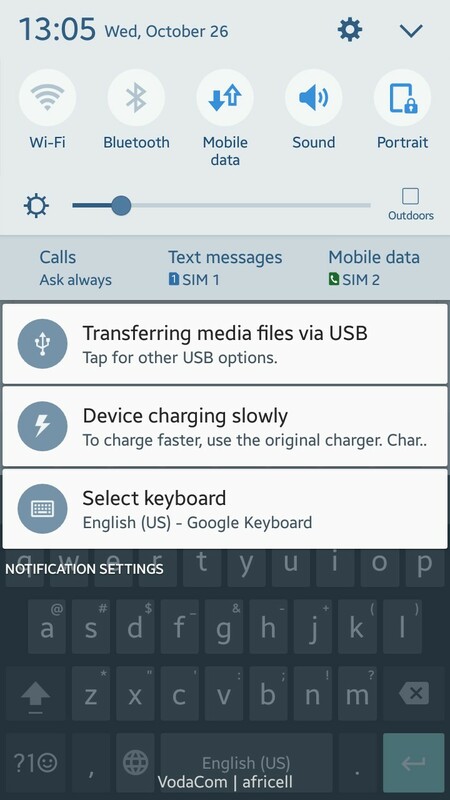 Did you try pulling the notification bar down? You should see "Transferring media files via USB", or "Charging via USB, tape for other USB option" And if after doing all this the problem remains, download Samsung USB drivers from Samsung website. Not the answer you're looking for? Browse other questions tagged 6.0-marshmallow linux connection-issues usb-connection-mode mtp or ask your own question. 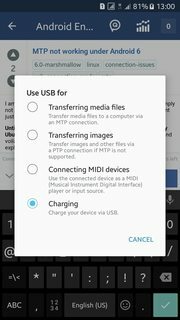 How to disable MTP and PTP file sharing via USB on Android 5?